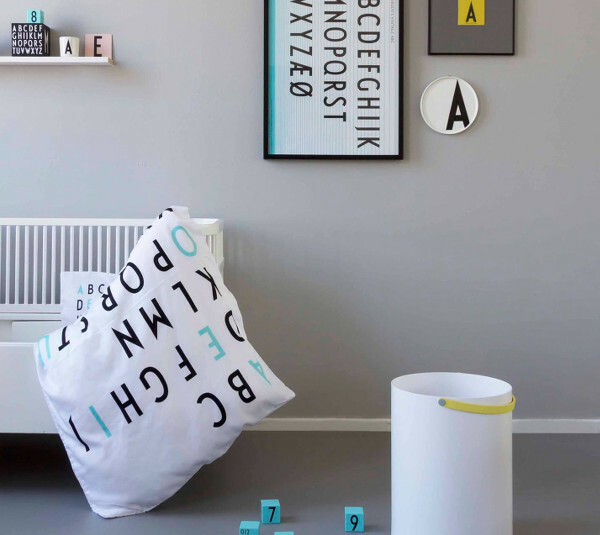 Danish design company Design Letters have brought to life the typography of Danish architect and designer Arne Jacobsen in a new and fresh way – as kids’ bedding. Apart from his work as an architect, Jacobsen is best known for his chair designs (and by the way, wouldn’t one of those look great in a kids’ room?) but his eye-catching typography is sure to be familiar as well. It can be pretty difficult to find bedding for tweens that won’t be discarded as too babyish a few years later, and that’s where a quilt cover like this one really hits the mark. It will fit a single bed and comes in a set with a matching pillowcase. 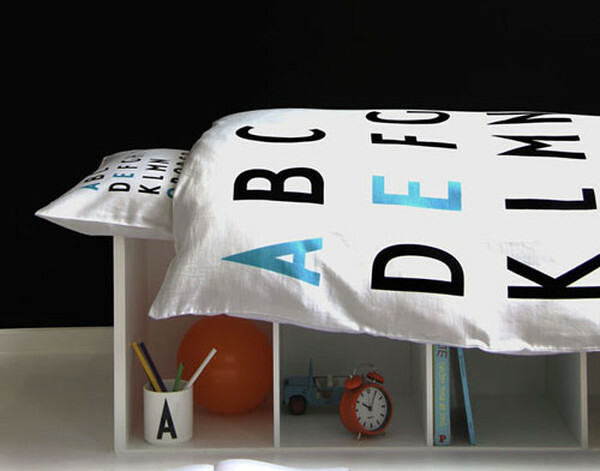 We think a set like this makes a great basis for a modern tween or teenager’s bedroom. The bedding is available from Skandivis for £49 (on sale at the time of writing). Skandivis ship to Australia.